When will be The Starlost next episode air date? Is The Starlost renewed or cancelled? Where to countdown The Starlost air dates? Is The Starlost worth watching? This low budget Canadian sci-fi series from 1973 ran for sixteen episodes before it was cancelled due to low ratings. It was created in Canada by Glen Warren Productions and partially funded by Twentieth Century Fox, who now own the broadcast and syndication rights to the series. It was also compiled down into five movies, each composed of two episodes each, with new credit sequences. The series was written by renowned science fiction author Harlan Ellison under a pseudonym of Cordwainer Bird, with additional episodes being written by other sci-fi authors. The plot concerned a giant Noah's Ark-like spaceship, composed of hundreds of huge "domes", each containing a sample culture from the planet Earth, which has long since died out due to an unknown disaster. The Ark, damaged from an asteroid collision, goes off course and heads into the path of a distant sun, its crew dead.Foreseeing the destruction of the Earth, humanity builds a multi-generational starship called Earthship Ark, 80 kilometres (50 mi) wide and 320 kilometres (200 mi) long. The ship contains dozens of biospheres, each kilometres across and housing people of different cultures; their goal is to find and seed a new world of a distant star. More than one hundred years into the voyage, an unexplained accident occurs, and the ship goes into emergency mode, whereby each biosphere is sealed off from the others. Four hundred and five years after the accident, Devon (Keir Dullea) a resident of Cypress Corners, a conservative agrarian community with a culture resembling that of the Amish, discovers that his world is far larger and more mysterious than he had realized. Considered an outcast because of his questioning of the way things are, especially his refusal to accept the arranged marriage of his love Rachel (Gay Rowan) to his friend Garth (Robin Ward), Devon finds the Cypress Corners elders have been deliberately manipulating the local computer terminal, which they call "The Voice of The Creator". The congregation pursues Devon for attacking the elders and stealing a computer cassette on which they have recorded their orders, and its leaders plot to execute him, but the elderly Abraham, who also questions the elders, gives Devon a key to a dark, mysterious doorway, which Abraham himself is afraid to enter. The frightened Devon escapes into the service areas of the ship and accesses a computer data station that explains the nature and purpose of the Ark and hints at its problems. When Devon returns to Cypress Corners to tell his community what he has learned, he is put on trial for heresy and condemned to death by stoning. Escaping on the night before his execution with the aid of Garth, Devon convinces Rachel to come with him, and Garth pursues them. When Rachel refuses to return with Garth, he joins her and Devon. Eventually they make their way to the ship's bridge, containing the skeletal remains of its crew. It is badly damaged and its control systems are inoperative. The three discover that the Ark is on a collision course with a Class G star similar to the Sun, and realize that the only way to save The Ark and its passengers is to find the backup bridge and reactivate the navigation and propulsion systems. Occasionally, they are aided by the ship's partially functioning computer system. Oro returns, offering to repair the Ark's faulty systems and fly them all to settle on Exar, which he claims is much like earth. Devon discovers he's lying, but can only prove it in a debate in which the loser will be killed. The Ark's chief astronomer altered its course so he could study a comet: now the debris is seriously damaging the Ark. The thrusters that can move it to safety need to be fixed manually, and Devon volunteers for EVA to do the work. A dome containing only a tropical garden, a lab, and millions of bees to pollinate the plants on humanity's new homeworld sounds perfect - but not when the leading scientist is breeding mutant bees with the ability to take over human minds. Garth leaves his friends and heads back home, only to find himself recruited into the Ark's police, who are working with the police of an alien system to avert an interplanetary war. But their efforts are being thwarted from within. 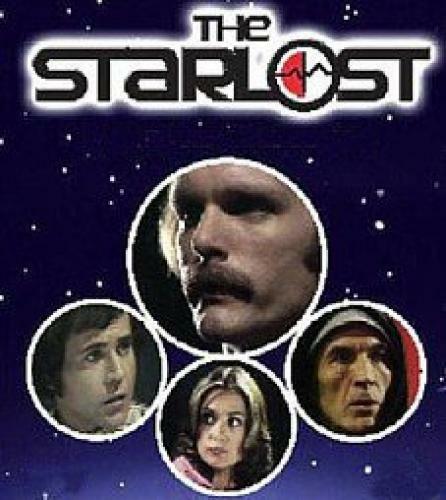 The Starlost next episode air date provides TVMaze for you. EpisoDate.com is your TV show guide to Countdown The Starlost Episode Air Dates and to stay in touch with The Starlost next episode Air Date and your others favorite TV Shows. Add the shows you like to a "Watchlist" and let the site take it from there.